The third installment of our weekly newsletter feature, profiling those carefully curated names chosen to be part of the coveted KING Affiliates, showcases the talents of one of the UK’s most influential social media fashion pluggers, Fire Chulo and US based creative entrepreneur Gmayniac. The KING Affiliates is a group of selected individuals chosen to represent the KING family. All are picked based on their unique talents and effortless fit with the KING brand ethos as they epitomise the values that KING stands for - talent, hard work, self-belief and 100% independent progress. One of the hottest young fashion influencers in the UK, Fire Chulo has made a name for himself with his on point social media content, original shoot ideas and carefully selected collaborations. As a self-appointed plugger, Fire Chulo provides his large number of followers access to brands and campaigns that are not readily available on the high street or in local stores, opening up a whole new world of branded fashion. For AW18 we connected with Fire Chulo to shoot, film and produce the new ‘LOYAL TO FEW, RULED BY NONE’ campaign at the infamous ruined castle battlements of Hadleigh. 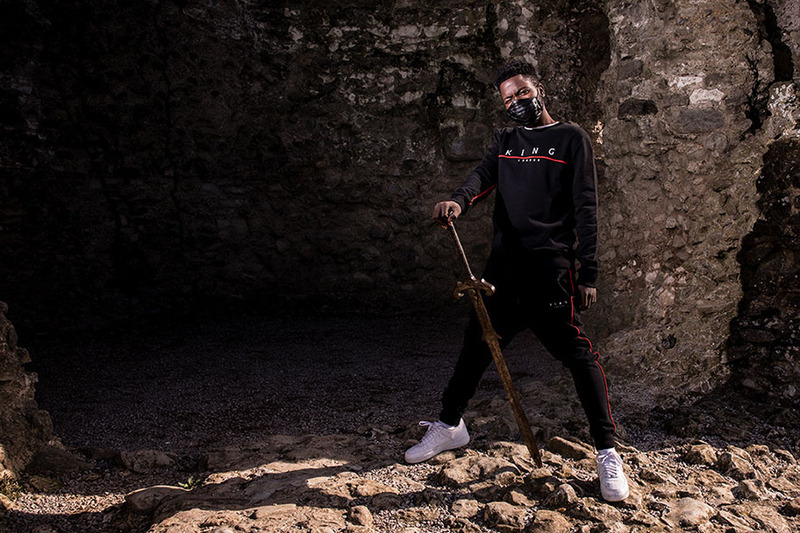 The 'knight rider' Tennyson tracksuit can be picked up here! 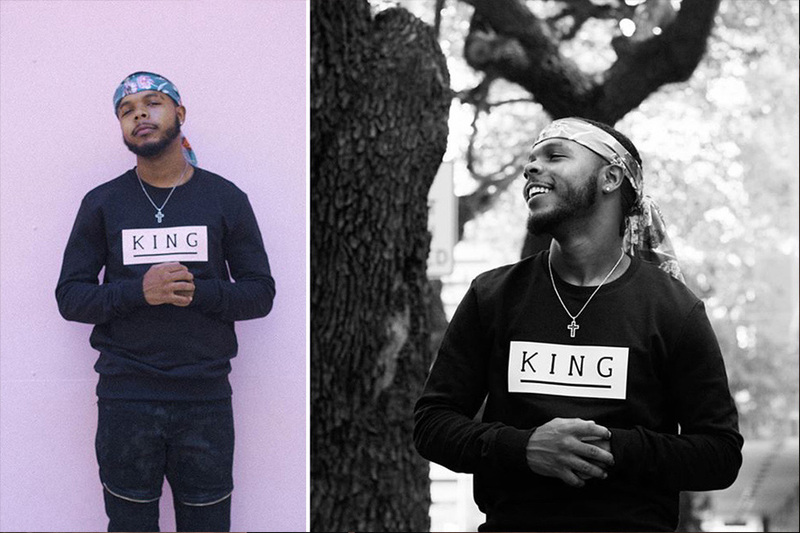 The Texas born and bred multi-talented entrepreneur Gmayniac is mostly known for his music, with his album ‘Bad License 2’ dropping in December. He is also the architect of a host of mixtapes, available across various platforms including his YouTube channel. He also works tirelessly behind the camera with special focus on visual art and music projects under the IG name @wreckvisuals as well as producing photographic work, event recaps, logo design and covert art for multiple artists. A true multi-creative entrepreneur.